The four-year campaign of the Leasehold Knowledge Partnership to reform leasehold has taken a surge forward this week. Today Labour said that it will cap charges that leaseholders pay in ground rents, and set out a plan to end leasehold houses in new developments. 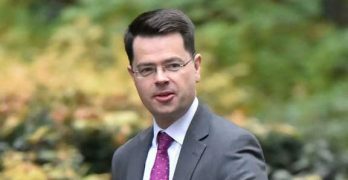 Meanwhile, government this week consulted with senior sector figures who have publicly expressed disquiet and urged reform. LKP, the trustees and MP patrons, met senior civil servants last week. On December 14 the All Party Parliamentary Group on leasehold reform, of which LKP is the secretariat, will discuss with housebuilders concerns over ground rents and leasehold houses. Today Labour’s shadow secretary of state for housing, John Healey MP said that reforming the sector was “unfinished business”. Labour wants to stamp out the doubling ground rents reported on LKP that have made some leasehold properties unsellable. 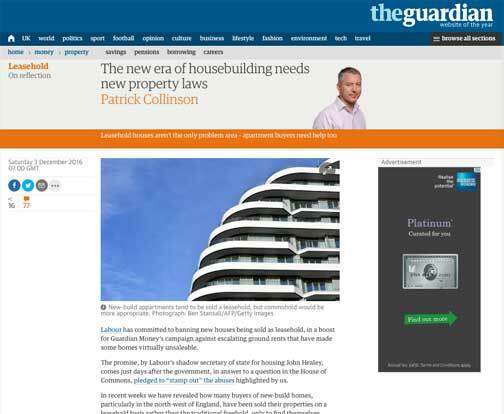 The Guardian is wholly endorsing the Leasehold Knowledge Partnership campaign to reform the sector. It has been driven up the agenda of the party by Jim Fitzpatrick, patron of LKP. Earlier this week LKP and Mr Fitzpatrick met Ruth Cadbury MP, who is the shadow housing minister, for a briefing on a range of leasehold issues. Labour says it “will look at what fresh legislation will be needed to end the routine use of leasehold ownership in developments of new houses entirely, moving towards the abolition of ground rents”. This is unfinished business for the party that introduced the Commonhold and Leasehold Reform Act in 2002 to try to deal with leaseholders being ripped off by “unscrupulous developers or managing agents”. “Home-owners who own their home on a leasehold basis are currently unprotected from huge rises in rip-off ‘ground rents’ from developers or management companies. “At its worst this is little more than legalised extortion and too many leaseholders are having to pay hefty bills as a result. Under a Labour government this sharp practice would end. “This is unfinished business for Labour – we gave leaseholders more protection in government, but the continuing problem now means we must do more. Government and opposition should forget about competing and act!! Action this day to stop this injustice and the carpetbaggers who perpetrate it!!! Next- Liicense the managing agents. There are too many cowboys on the prairie. Next- Lock up the dodgy solicitors. You know who you are and so de we! Well LKP are driving this issue. Well done and congratulations to LKP and everyone who has, and still is, contributing to get this horrendous injustice stopped. I totally agree with Kim, .Government and opposition should forget about competing and act, act now. The Government, if they really really wanted to, could easily stop sales of leasehold houses NOW, not take months/years. Kim, thanks for your comments of support this week, much appreciated. Alec. I support your passion, erudition and above all your no nonsense approach. to resolution. Keep it up! TREVOR ( doh) I support your erudition etc and all of the above. KEEP IT UP! Congratulations to LKP for bringing attention to this. The information on this site has helped me, personally, and many thanks to them. Ground rent is not the only problem,, we need to go much deeper to stamp out corruption in the freehold/leasehold system. As an example, Managing Agents, are an anachronism with no regulation and no real liability. They hold money but there is no mechanism to bring them into accountability. They hold keys to our houses for heavens sake! They view themselves as a kind of overlord of the leaseholders!! Freeholders can also be shrouded in mystery, hiding behind dodgy solicitors and off shore companies. Overall reform should be on the cards, not just lip service.
! Mangaging agents must be licensed.I have seen/ experienced some shocking behaviour perpetrated by their ilk. There are no checks on the background of these unscrupulous operators. Convicted criminals can exit prison and set up a ‘ Management company’. They often use ‘ Contractors’ that are mates or Family members, who do not offer competitive prices and are quite probably unqualified to carry out the work. Companies are liquidated when shoddy workmanship is highlighted. Blatant lies are told, importance correspondence is sent to the wrong address. It is really quite shocking and these ‘Overlords’ with delusions of importance need to be brought to heel forthwith, along with their vagabond solicitors! I am working on it. suggestions from any long suffering leaseholder are welcome. Then we need legislation to end the feudal remnant of an outdated system that really serves no one any more. Unscrupulous agents of freeholders – usually sharing the same address and ‘officers’ – send threatening letters to leaseholders demanding extortionate fees for events eg sub letting, claiming that this is in accordance with the terms of their leases – when it is not. They ignore – or do not bother to find out – the exact terms in the leaseholder’s leases and send legal sounding letters accusing the leaseholder of being in breach of their lease and threatening action if the leaseholder doesn’t fill out their forms and send them their demanded fees. Their letters and emails are unsigned or just have an undefined ‘squiggle’ and read like a debt collector’s letter and are very threatening and nasty.. The agent will carry on claiming that ‘Your lease says….’ when it doesn’t and many people give in and pay as they are intimidated. It takes a brave soul and often a solicitor to challenge them, quoting the exact wording of the lease, when they eventually back off as they cannot fight the exact wording of the lease, which is paramount. Leaseholder, I will stand shoulder to shoulder with you to stop these unscrupulous individuals- and I have shared Freehold!! Bullies need to be cowed. Leaseholder, I will stand shoulder to shoulder with you to stop these bullies. Interesting that politicians now feel able to intervene on “Leasehold Housing Issues” but not on Leasehold Flat Issues… Is that because they feel household owners are somewhat of a different class to that of flat owners? It has long been the opinion of a lot of MP’s that leasehold flat owners, buy at ‘discounted’ prices..
Well I can tell them that they do not. In fact, they pay a premium for what they perceive to be a less hassle free and more cost effective way of buying a property. How wrong they are. 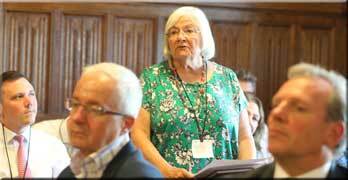 I have spent 5 years of my life, unpaid, working towards leasehold reforms and helping many many leaseholders (as have LKP and Campaign against retirement leasehold exploitation, plus a lot many others). Only to find that there are so many lobbyists etc that are getting paid to provide ‘reports’ to Government that somehow disclaim all the legitimate concerns of leaseholders being ripped off by managing agents and commercial landlords. Now we all know the lengths they go to of challenges to their cash cow empires… and nothing seems to sway the opinion of MP’s. It is time for action as words do not seem to be hitting that mark! Leasehold flat owners are suffering the same fate as leasehold house owners!!! Can someone please tell me why house holders are different? No, Karen, I cannot tell you why flat owners are seen differently to house owners. I am fully aware that leaseholders of flats are regularly being being ripped off by crooked Managing agents on behalf of their employers ( The venal Freeholders). I reiterate- this has got to STOP!! These Dodgy agents need a sharp slap on the back of their legs and need to stand in a corner and be humiliated. C’mon people- NAME AND SHAME! In that I disagree. Naming and shaming is not sufficient deterrent. Enforcement and meaningful fines are a good start. 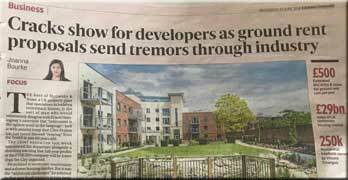 ‘Naming and Shaming” will at Least prevent others leaseholders from swimming with the sharks. A prison sentence should be imposed upon these unscrupulous Agents / Freeholders for demanding money with menaces. EG : Getting their dodgy solicitor to send threatening letters for non recoverable sums. The party will soon be over for these losers!! I should think that if a person knowlingly gives false information in order to extract monies, then that would constitute the act if fraud. That is what these crooked agents are doing when they carry out the action you have described. I should contact the police and attempt to get them arrested for attempted theft. If nothing else it will give them the jitters- I shouldn’t be surprised if more than a few of them have had their collar felt in past…… It is worth a try. Hi Karen, I understand where you are coming from and fully support your comments. I certainly hope no one believes these “house occupiers” are of a different/higher class, as clearly they are not. I cannot wait for the day when something meaningful is actually done about leasehold flats. I do not have a leasehold flat or house so I am not personally affected. I have had a lot of involvement with managing flats where residents own the freehold (I wont touch leasehold)and I have over the years given help and guidance to many flat leaseholders. I honestly think that the only reason leasehold houses have come to the forefront is that what the likes of Taylor Wimpey have done is absolutely unnecessary. Hence this surge forward regarding houses as selling leasehold houses could be stopped easily and quickly. New Build Ground Rent abuse through the sale of leasehold houses is a relatively new phenomenon, and LKP/Campaign against retirement leasehold exploitation and all others who have helped to bring this modern evil to public attention are to be congratulated. 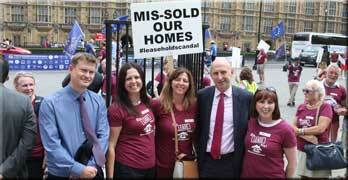 Four years ago when LKP/Campaign against retirement leasehold exploitation commenced highlighting leasehold abuse, the primary concern was not leasehold houses at all but the plight of the millions of leaseholders in England and Wales living in leasehold flats at the mercy of unscrupulous freeholders operating freely in a wholly unregulated business. This is still the unchecked domain of the Rachmanist few. Unprotected leaseholders are not merely harassed by these people but are terrorised into submission through use of the threat of court summons and forfeiture, resulting in large and undue sums being extracted from the gullible and vulnerable.. And which appears to be the actual custom of this particular trade! Having been found out on Buildings Insurance premiums, sub-letting fees etc., the latest scam is now Ground Rent, particularly when it is a peppercorn. Through failure to send a demand or through the ruse of use of a wrong or false address, a letter from JB Leitch Liverpool can seemingly suffice to turn £20 pa into £460 overnight! However, the real fraud remains the illegal trade in the sale and purchase of freehold titles of long leasehold premises built in the 1970/80/90s and nearing or already under 80 yrs remaining. There are 10’s of 1,000’s of such properties that have already fallen into criminal hands through the willful manipulation of sale and purchase agreements. These properties must be redeemed for their real owners = the qualifying long leaseholders – on like terms to the original illegal disposal forthwith. Ground Rent abuse must be tackled head on in all its forms. “undue sums being extracted from the gullible and vulnerable..” exactly, very nicely put. Us leaseholders are the vulnerable and the gullible. Oh yes, the ‘Ruse of sending correspondence to the wrong address” . How novel!! I have been of victim of this deciet. 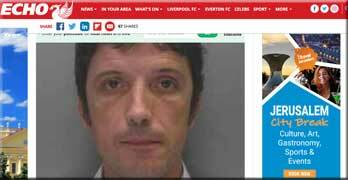 The agent and solicitor were caught out.Lot of backtracking….. There is a big player on the market buying up freeholds. It was mentioned on by fellow commentator that RCP Ltd ( Coast fund income freehold fund) Is buying 2 x Ground rents/ Freeholds per month.what on earth is the benefit to RCP Ltd? Just Asking! Very true! I have also been victim of the wrong adress/somewhat misspelled name ruse. It’s like managing agents and dodgy solicitors never learned to spell at school! These are tricks to create confusion, meaningful fines need to be set. If any other busness sector fails in their obligations they get fined, Freeholds should be no different. If anything, rules should be stricter and more vigorously enforced. ‘ Meaningful Fines” ? These crooks should be charged with demanding money with menaces when they get their property dodgy solicitors to send out letters full of COBBLERS threatening leaseholders with forfeiture when they refuse to pay non recoverable sums. This is akin to BLACKMAIL and the Agent and their dodgy solicitors should be charged and jailed. 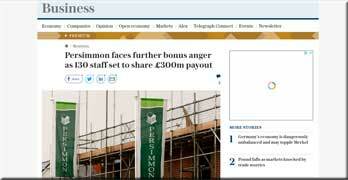 Leaseholders- DO NOT pay up when these crooks demand sums that are not recoverable. Continue to lay the RECOVERABLE SUM and always send a cover note stating why you are not paying non recoverable sum, and then just IGNORE any threatening missives .If they had a case they would have ou In Court before you could say licikty split! They are a bunch of Losers!! The fight back starts here! I think a lot of the blame for this current situation rests with the Government. When the Consevatives came to power in 2010, the previous Government already had some plans to legislate in the pipeline..
About one day after the General Election the new Housing Minister, Grant Shapps, said more or less the following. Subsequent Housing Ministers, and there have been several ,were all made aware of the problems, they took no action but as usual they promised to keep the issue under review. Personally I think they were heavily influenced by those at the Department of Communities andLocal Government .. They seemed to dismiss all suggestions and also promised to keep the issue under review. Which of course really a fob off and meant that they would do nothing. So it gave a free rein to any unscrupulous individuals and companies to rip off leaseholders, especially those in Retirement Complexes. Organisations like the ARHM, ARMA, etc over the years did nothing as it would upset their cosy relationship with some of these companies. Much to the disadvantage of those who behaved decently. It has taken a lot of time but now the efforts of a few MPs, Campaign against retirement leasehold exploitation/LKP and their supporters are having some affect. The Government and these other organisations are having to rethink the situation. It is unfortunate that many of those who needed their help will now be dead. As regards those Developers who have been selling houses leasehold, some with extortionate ground rents, at the risk of being called a whimp I would suggest the following. As the Government is partly to blame for letting them get away with it, I suggest they are given a chance to put things right before Kim and Trevor’s more extreme forms of punishment are adopted. They need to stop selling new houses leasehold now and assist all those who have purchased to buy the freehold of these properties. 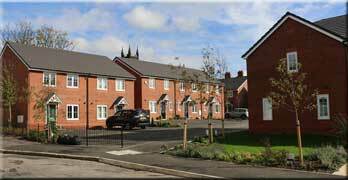 And repay all expenses incurred by the Help to Buy scheme in the purchase of leasehold properties. I hope that all the persuasion and pressure put on them by concerned MPs, Campaign against retirement leasehold exploitation/LKP and their supporters will succeed. Leasehold needs to be viewed like Augeas’ stables, requires total clean up. Piecemeal legislation doesn’t really work because the freeholder/ investors will simply find new extortion methods. The ground rent fiasco, is a very new thing. I’d never heard of it till the Martin Paine scandal. Until then I never thought of looking into ground rents, which were viewed as small nominal amounts, usually reverting to peppercorn, upon lease renewal. Perhaps one of the legal experts could correct me on this. Michael , I hear you and I hope that your carrot approach will succeed. I concur that the conservatives let this issue run away from them and shame on them for doing so. Alas, I think the only thing that will bring these Rachmanist spivs into line is for them to be bludgeoned with a big of penalties/ legislation and imprisonment for any criminal activities perpetrated in the buying or selling of the Freeholds/ Ground rents. I shall watch with interest. As an addendum to my previous comment, I have just read the Annual Report of ARMA which was published today on their website. They are full of praise for themselves on how they have improved the conduct of their members and how they are now facing up to leasehold problems. And for the good works carried out by the Regulating Board. Strange that they overlooked the Price Fixing. They say they are now cooperating with other bodies to improve this industry but no mention of Campaign against retirement leasehold exploitation/LKP.. It was most likely Campaign against retirement leasehold exploitation/LKP and its supporters efforts that has forced them to change their attitude. Oh well, if it allows to ARMA to feel that they have been relevant- Let us then allow them to bask in what clearly is Campaign against retirement leasehold exploitation/ LKP triumph!! An amusing aspect of the annual general meeting last month was the strenuous effort ARMA put in not to mention LKP / Campaign against retirement leasehold exploitation. Even though the principal speaker was Jim Fitzpatrick, who has been patron of the Leasehold Knowledge Partnership for many years, LKP was not mentioned at all in the documentation. However, his speech was an assertion of LKP and its manifesto for change and this was echoed by other speakers. 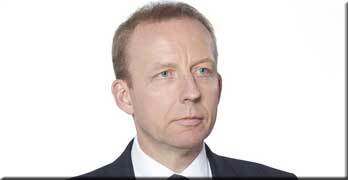 Without LKP, ARMA would not have a ARMA Q, a fancy website, a spring in its step or, indeed, its new CEO Nigel Glen. It would be back to the days of assuring government that all was fine in the sector. Do not expect too much from trade bodies. ARMA has improved markedly; RICS is still complacent and torpid and its disciplinary proceedings can be farcical and should be no reassurance to consumers. Aaah, a lot more posts since I last viewed. So MH are we going out into the real world to distribute these flyers at the relevant sales sites or are you remaining in a world of your own. Looks like the latter. Now you are blaming the government for the devious actions these senior executives instigated to the leases. Its everybody’s fault but wonderful customer caring TW! I totally agree the government should have done much more by now but are you saying that the even the wonderful upstanding senior management of TW need legislation/law to stop them, wonderful TW, from instigating horrendous leases. Are there any decent people left in this world. You say my suggestions of punishment are extreme. Nobody else has publicly disagreed with me. Are you saying that these individuals who instigated leases with clauses that are totally unnecessary should not receive any personal punishment/loss. Trevor, I appreciate how strongly yourself and some others feel on this issue and how you feel strong punishment should be inflicted on the perpetrators of this scandal. My main concern at present is that those leaseholders who have already suffered should end up being treated very fairly. As it is the current management of these companies who are able and likely to sanction this, I see no point at present in threatening them with sacking, loss of pensions or even imprisonment. If they have not broken any laws I cannot see how this could be enforced. So I shall continue on my present course until I am sure it has not succeeded, I think that Campaign against retirement leasehold exploitation/LKP and the campaigning MPs would support this approach. I hope they will keep us updated on progress. MH, lets make one thing clear, My number one concern is, and always has been, to always help the leaseholder first. You twist words to suit your support to people you refuse to accept are how I describe them. You say these instigators have not broken any law, very true. You don’t need to tell me that. Therefore my comments that they are of no better character than the lowest of the low who have inhabited the likes of Pev/Firstport are, in the circumstances, reasonable, if they have to be controlled by a law. “Threatening them”? who has done that. Trevor, I am very publicaly in your camp on this issue. I do not believe that you are in the least bit extreme. These lowlife should be hit and hit hard. if sir Shifty had been whacked over the knuckles I doubt that the BHS staff would be in the position they are now in. I am sure that both you and MH are equally concerned about these shafted leaseholders. I am aware that one can catch more flies with honey than vinegar, however a good dousing in vinegar for these slugs is probably what will win the day. I am for the loss of pension and possible improsment if wrong doing is proven. Lease extension reverting to peppercorn is the individual leaseholder legal entitlement. Somehow, the Rachmanist few entered the arena with the “informal”extension racket and I have never fully understood why this scandalous development has not been firmly checked by the First-Tier Tribunal=Property by now. .
Louie: a few words on this would be very useful -tks in advance! 3. Sell the shares in the associate (already owning the land title). 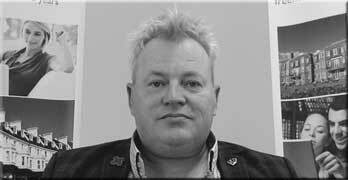 The Housing Act 1996 aimed to close this loophole through introduction of criminal penalties (peppercorn) . Unfortunately, these penalties have done nothing to forestall the activities of the unscrupulous Rachmanist few.. 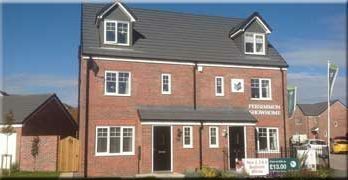 Either qualifying long leaseholders have a right of first refusal or they do not. A:: Yes they do, and thanks to the Housing Act 1996 it is breach of this right that is now and remains a criminal offence..
Manipulating sale and purchase agreements so that leaseholders remain ignorant of a freehold sale transaction, entails that at time of the transfer of the land the seller holds the shares in the associate as a fiduciary for the buyer, and the transfer is not to an associated company. Thereby, ensuring that the majority qualifying long leaseholders are fraudulently deprived of their legal entitlement. and material interest. And as this criminal trade involves premises constructed in the 70/80/90s, it is little wonder that an unregulated “wild west” industry has sprung up with the Rachmanist carpetbaggers tripping over each other to get their grubby hands on such titles, thereby. paving the way for the now infamous and lucrative “informal” lease extension racket. This fraud is major, continues unabated, and must be addressed by law and policy makers forthwith. I think we should demonstrate outside the ‘offices’ of these spivs whose deplorable conduct is causing untold misery to many thousands, and will continue to do so unless action is taken immediately to halt all sales of ground rent / freeholds until strict legislation is brought in by this government and all dodgy transfers thus far reversed. Let’s check out this person mentioned previously, who allegedly wants to “Build new towns” how very altruistic , I don’t think!! I recall when ARMA was a cosy set up, specifically designed to keep prying eyes out.. Little has changed, “Q” or otherwise. The last thing these people want is regulation. You are correct there Alec, ARMA want Government regulation like a hole and in the head. They delight in keep telling us all that the Government has no plans to introduce any.. If it had not been for Campaign against retirement leasehold exploitation/LKP and its supporters campaigning since 2010 ARMA would still be the unhelpful organisation it always was. 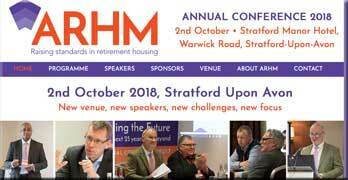 About on a par with the ARHM..
Any resurgence in their performance is largely due to Campaign against retirement leasehold exploitation/LKP, who they refuse to acknowledge. …and let’s not forget the elephant in the room. ARMA is a voluntary membership organisation. You don’t need to be member or abide by its constitution, for whatever little is worth. Anyone can set up as a managing agent and get into cosy relationship with the freeholder. The freeholders dog could pretty much set up as a managing agent and it would be awhile before anyone notices….and then it would be too expensive to take to FTT. Absolutely agree. Pay RECOVERABLE sums only. ( These should be ‘Reasonable) Every several months confirm to the agent your correct correspondence address whether it be email or other., as this makes it more difficult for them to pull the wrong address ruse that these spivs are so fond of. Tell them that you will report them for harassment if they and their dodgy solicitor chase you for ‘Monies not due’ Keep a file of all correspondence/ invoices received and paid. Sit back and wait. The empty vessel makes the loudest noise. 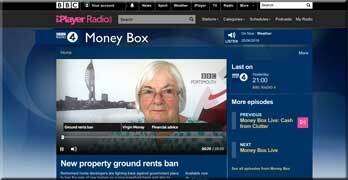 There is a report in the Homes and Property News dated 25 September 2007 which appears to contradict the Ground Rent explanation recently given by the Taylor Wimpey. 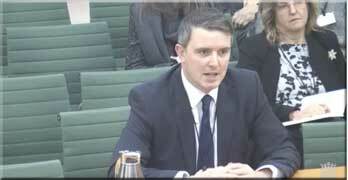 He was answering a question posed by a purchaser who thought the ground rent terms to be outrageous. 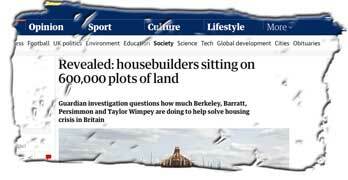 So in 2007 Taylor Wimpey must have been well aware of the problem they were causing. The recent Taylor Wimpey statement says the following. These leases were introduced in 2007 with an average difference in capital value compared to a Retail Price Index lease of slightly less than a 1% of the average sales of a property. We were unaware of the concern of some customers and homeowners regarding these pre-RPI clauses and the difficulties they are experiencing. I submit that they must have been aware back in September 2007. And I would add that the TaylorvWimpey solicitors carrying out these transactions must have been aware of the problem they were causing..
That newspaper report back in September 2007 stated that ” several solicitors had never come across it before and thought it outrageous. The Estate Agents involved said they were unaware of what was going on. Good research Michael and most damning for TW. Let’s also remember that the unscrupulous group buying I all the ground rents to build their portfolio ‘ Pipeline” are also to blame for shafting leaseholders. A previous post mentions RCP Ltd buying up ground rents at an alarming rate and boasting about it online. This from a freeholder who was Head of ‘County Estate Management’!!!!!! 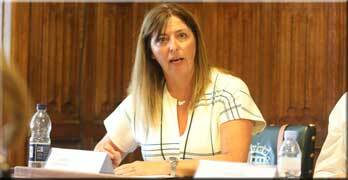 Last month Angela Knight MP became a Director of Taylor Wimpey. Angela has had two top jobs as Spokesperson for the Banking Industry and then the Power Supplying Industry. In both jobs she despised greed and made efforts to put a stop to it. 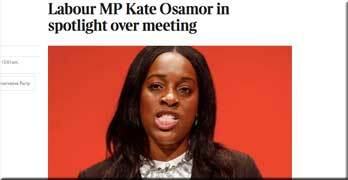 Now she is a Director at Taylor Wimpey I hope she will use her influence to put a stop to these Leasehold and Ground Rent issues and make sure all those who have suffered receive fair compensation. She had better use any influence she has,otherwise she should voted against in the the next election. Incidentally, was Angela Knight MP aware of the extent of TW alleged shenanigans when she joined the Board? Is she a paid Director ? She says she ” Despised greed”. Where is the evidence for this? She was a spokesperson for banks / Power supply industry. They are a greedy and spoke FOR them. Nothing much seems to have changed as regards their behaviour! Why is on earth do we believe that she will” Influence ” the spivs? Turkeys do not vote for Christmas. Well she must be aware now, let’s hope she takes some action. She is also Chair of the Office of Tax Simplification and did apologise for defending the Banks in her previous position. An exMP now, my mistake. Apologises, rather like promises are a comfort to a fool!! What if she doesnt take any action- what then? Aaah, I gave just noticed the Ex MP bit of your post. 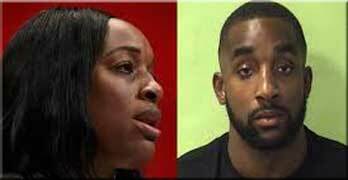 I predict that Angela Knight will bring no influence to bear on the doing of TW. Let’s just disregard that hope Michael. It ain’t gonna happen. I have written to Angela, we will see what she has to say about it. I have not lost faith yet. Michael, consider this; Angela Knight CBE. 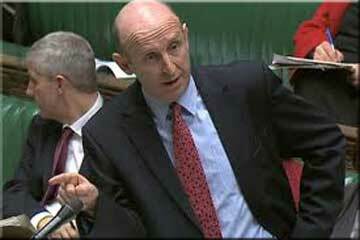 MP for 5yrs until ousted by a labour candidate in the 90’s. She went on to become chief exec of energy UK , Chief exec of the bankers association is now head of ‘Tax simplication?? as well as sitting as a director for TW who have shafted leaseholders. I dunno about you Michael but I think that the blighted leaseholders have suffered enough,I don’t think that Angela, who couldn’t even hold onto her seat in an area where the Tories had a big majority is going to be of any help to them whatsoever. I am sure that you will get a response that will be full of promises that comfort only fool. When she steps down as director of TW, she in all probability ‘Apologise’ for not blah blah blah. Ultimately the legal status of the leaseholder needs to be changed, so we are not ‘tenants’ , otherwise we are not home owners are we? As someone currently involved in a tribunal case, I have to sit behind a sign labelled TENANT while the other side, (who in fact, did not even bother turning up, but send a random legal representative) sits behind a sign called LANDLORD. I thought I bought my flat 18 years ago!